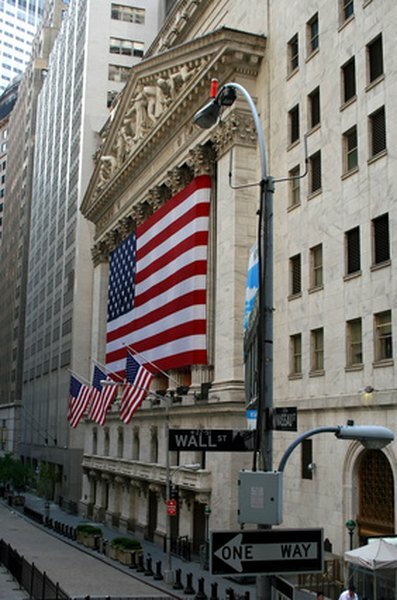 The New York Stock Exchange is America's oldest stock market. 1. What Type of Market Is the NASDAQ? 2. What Is the Gray Market for Stocks? 3. What Was the First Company Offered on the New York Stock Exchange? The New York and American stock exchanges share much common ground in New York City's Lower Manhattan. The Amex evolved from the older NYSE and for many years the two exchanges operated in similar fashion, with trading floors only a few blocks apart. While the NYSE continues its traditional pattern of buying and selling stocks, the Amex has evolved into a market for specialty products. The NYSE began in 1792 with an agreement among stockbrokers to buy and sell stocks and bonds of companies in what was then a young and growing business community. It adopted the NYSE name in 1863. The NYSE is an auction market, where bids and offers placed by investors with stockbrokers are matched for trades. The Amex started on a curb outside the NYSE in 1849, with traders who could not get into the NYSE exchanging stocks that also could not qualify for the NYSE. It operated informally until 1908, when it became the New York Curb Agency. It moved into its own building in 1921 but was called the New York Curb Exchange until 1953, when the American name was adopted. Like the NYSE, the Amex is an auction market and for many years functioned much like the NYSE, with a trading floor where orders were matched. It attracted new and smaller companies that could not meet the NYSE's stringent financial requirements for listing. It still attracts many of those companies and also has become a prime market for special investments like stock options and derivatives, separate issues based on indexes or underlying securities. Both the NYSE and Amex changed after the creation in 1971 of NASDAQ, originally an automated quotations system for over-the-counter or non-exchange trading controlled by the National Association of Securities Dealers. Both began high-speed electronic trade reports and other computer-oriented techniques. The Amex and NASDAQ merged in 1998, although the Amex retained its own trading operation. The Amex reverted to its membership owners in 2003. In 2006, the NYSE created NYSE Euronext, becoming itself a publicly traded stock company rather than a membership exchange and incorporating the Archipelago electronic stock exchange. In 2008, Euronext added the Amex to the group. Today both the NYSE and Amex operate trading floors in their historic Wall Street buildings but also offer electronic trading systems.